Midori Snyder‘s The Innamorati won the Mythopoeic Fantasy Award for Adult Literature in 2001. 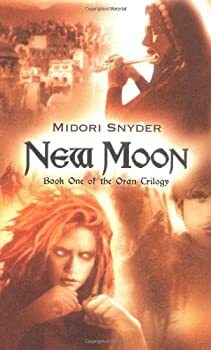 Read Midori Snyder’s comments about her books and other projects at her website. The Oran Trilogy — (1989-1993) Young adult. Publisher: This fantasy novel of magic, murder and intrigue, describes the land of Oran, ruled by the autocratic Fire Queen, who 200 hundred years ago destroyed her rival queens of Earth, Air and Water. However, now there are rumours of an insurrection. 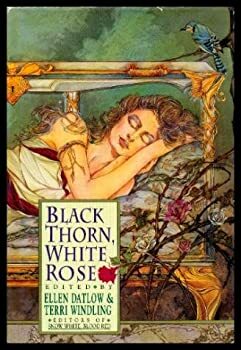 Midori Snyder set out to write a trilogy, because that is what fantasy authors were supposed to do, and she wrote one of the best trilogies I have ever read. This little known gem, in its first printing named The Queen’s Quarter and in its second printing referred to as The Oran Trilogy, is a multi-layered treasure of a story. It is a story not only about the personal struggles of four young heroines, but of the country's quest for political freedom, and the land's fight to find magical stability. Snyder balances all three of these plot threads and weaves an engrossing tale of enduring worth. Sadar’s Keep continues the story that began in New Moon. 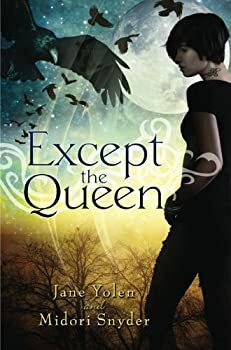 Three of the four young queens had been found by the end of the first book, and the army that is slowly pulling together around these young woman is starting to find some unusual allies. 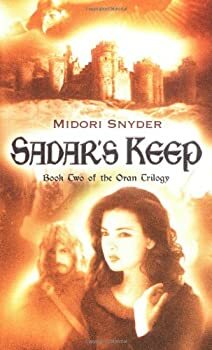 Midori Snyder focuses the story around the preparations for battle at Sadar’s Keep between the army of the uprising, known as the New Moon, and the Oran military. Sadar’s Keep is also the site of the battle between the current Fire Queen Zorah and her queens 200 years earlier, and Snyder uses that to fill in the back history, making this new fight an echo of the previous battle. And we realize that the previous queens are trying to take control of the current queens and fight through them again, making this fight more than just an echo. 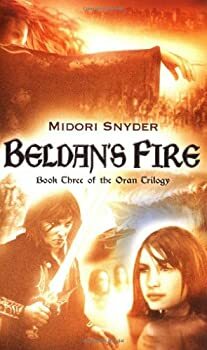 Beldan’s Fire is the final showdown between the new Queens’ Quarter and the Fire Queen Zorah, and the plot races along to its conclusion. Midori Snyder doesn’t pull any punches as she wraps up the story, and it does not end the way you probably think it will. She balances beautiful, lyrical writing with gritty characters from the urban underbelly. The characters continue to develop, and are still flawed human beings doing what they have to do, which I think is what makes them interesting, and possibly even truly heroic. 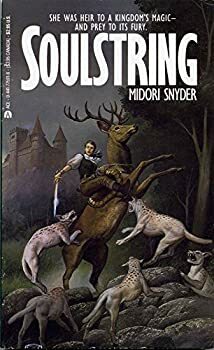 In the first few pages of Soulstring, I was worried that I was reading another book about a spoiled princess who was going to do nothing but complain about how hard she suffered in her privileged life. But by page thirteen, I was deeply engrossed in the story of a young woman who is hated by her parents for the sin of being the firstborn and a girl. Soulstring is a high fantasy story about a young woman who has to discover a way to reclaim the magical power that has been taken from her by her father, wrapped inside a retelling of the Tam Lin myth. In Except the Queen, two faerie sisters, Serana and Meteora, accidentally learn a scandalous secret about the faerie queen and let it slip. For their transgression, the two women are separated and banished to mortal Earth to live among humans. They are completely adrift in this new world, and if that weren’t bad enough, their new human bodies are old and overweight. In fairy tales, whenever someone journeys into the forest, you just know something strange is about to occur and that the protagonist’s life is going to be changed forever. 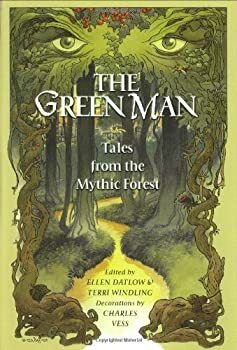 The same is true of the stories and poems featured in The Green Man: Tales from the Mythic Forest. 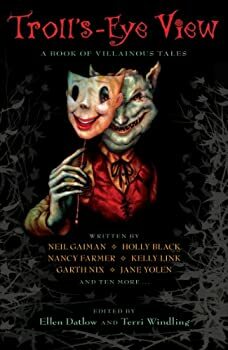 With this collection, editors Ellen Datlow and Terri Windling kicked off a series of young adult anthologies, each devoted to a particular theme. Here, the theme is wild nature, and most of the stories feature teenage characters who encounter the wilderness and undergo a coming-of-age experience there. The Flight of Michael McBride — (1994) Publisher: Michael McBride is a sheltered young man from an Irish-American family in New York City—until the secrets that lie beneath his family’s genteel existence begin to crumble under his feet. His flight from the Old World’s Unseelie Court will lead Michael far into the wilds of the New. But Magic, Michael will discover, is not something a man can simply outrun. The Innamorati — (1998) Publisher: In an alternate Renaissance Italy, five pilgrims who suffer from cursed lives journey to the Maze of the city Labirinto to seek their hearts’ desires. During their adventure, things grow more baroque, comical, and magical until they reach the heart of the Maze. CLICK HERE FOR MORE BY MIDORI SNYDER. We have reviewed 6760 fantasy, science fiction and horror books, audiobooks, magazines, comics, and films. @Lois, it's fun to see the bits they've taken from the books and where they've gone with them. Yikes, that was fast. Bill, we'd better hustle on Season Three and Season Four!